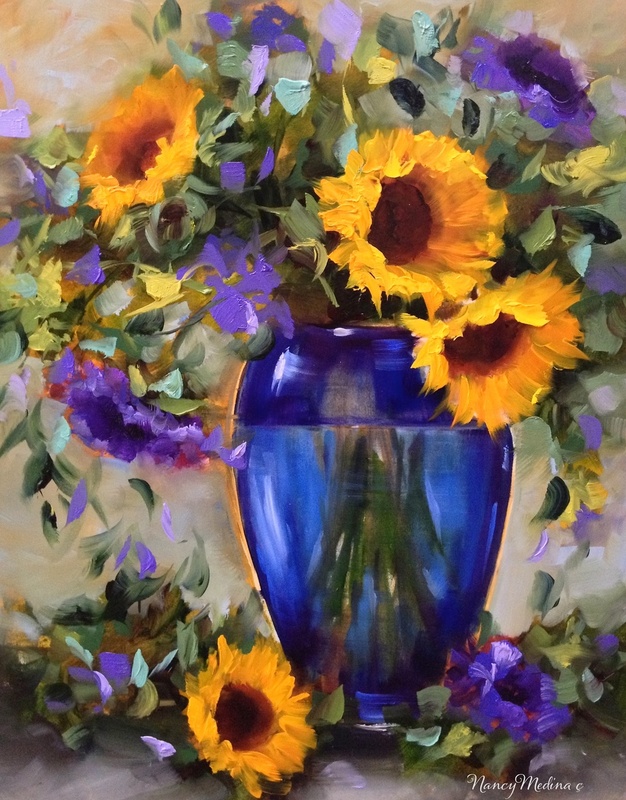 Known for her bold, impressionistic florals and large container gardens that are immediately eye-catching, Nancy teaches a loose, bright painting technique that evokes bold color. Nancy's love of art and gardening originated on her childhood farm in East Texas, where her parents were organic gardeners. Her earliest memories are of standing barefoot beneath 11 foot sunflower stalks in her family's garden. Nancy studied art history and illustration at the University of London, King's College, Chelsea, and oil painting and color theory at Texas A&M University. 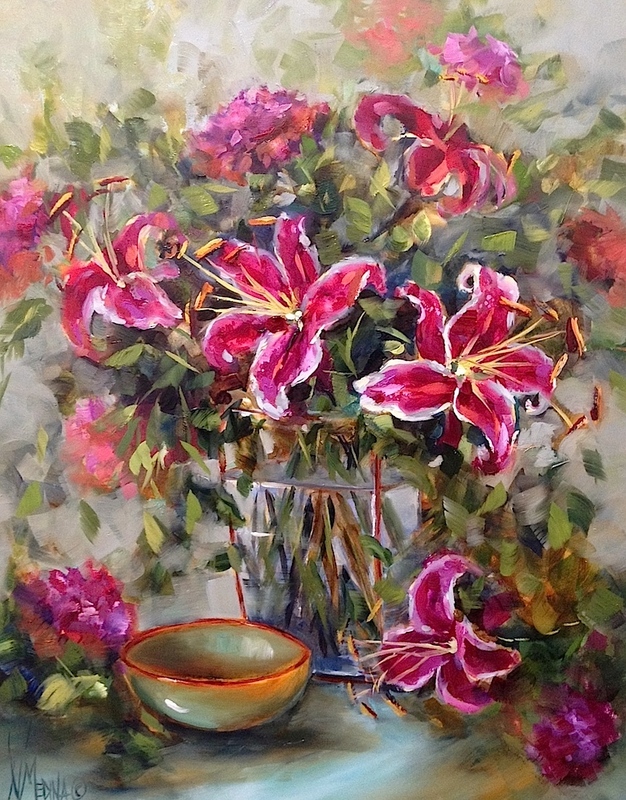 Today she resides with her husband and their 4 pugs in Flower Mound, Texas, where she paints daily from Flower Mound Art Studio. Nancy has worked professionally in design and publishing for over 20 years. In 2013, she retired as the director of a national magazine to pursue her art and teaching full time. Her original oil paintings have been featured in print and Web publications and on the covers of magazines. Nancy is a member of the prestigious Daily Painters Gallery, the original international gallery of 150 artists who produce new daily works of art for collectors across the globe. Her work is represented by galleries in Texas and California. Nancy is a consulting editor for Visual Language magazine, a signature member of Contemporary Fine Art International, signature member of Artists of Texas, a member of Associated Creative Artists of Dallas and an associate member of the Oil Painters of America. 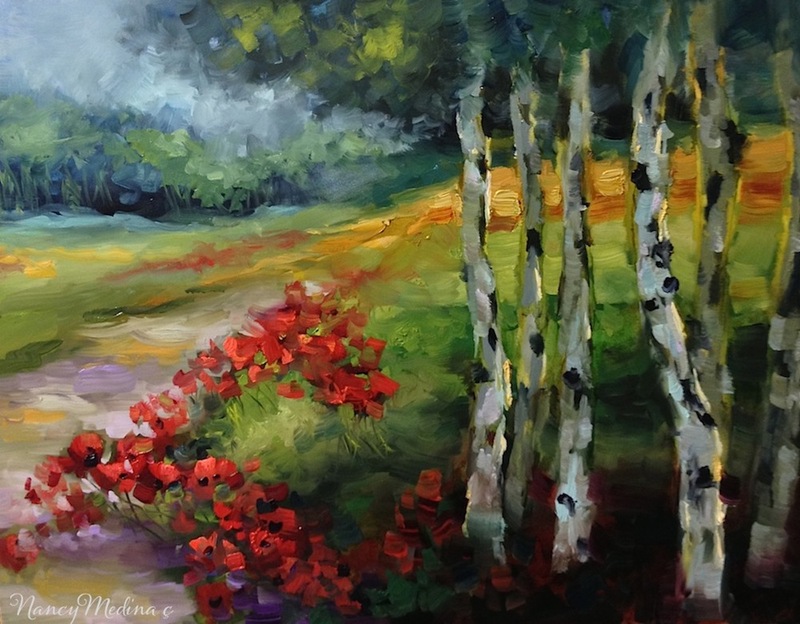 She is a featured artist and flower painting instructor for the Dallas Arboretum, which has used her paintings on the covers of their promotions and awarded her in their annual juried Garden Gallery competitions. When she is not in the art studio, Nancy is a volunteer for Dallas Fort Worth Pug Rescue, the largest pug rescue charity in the nation. Click here to shop for Nancy's still life, here for waterscapes, or here for her landscapes.